Northern California is known for its Mediterranean climate and its diverse locales, which are ideal for romantic adventures. Visitors may travel along the coast or venture to the mountains to explore the beauty of Sonoma County, Carmel-by-the-Sea, Napa Valley and Mendocino. Romantic trips in Northern California might include private wine-tastings, overnight packages for couples, luxurious spa retreats or simply relaxing by the seaside. 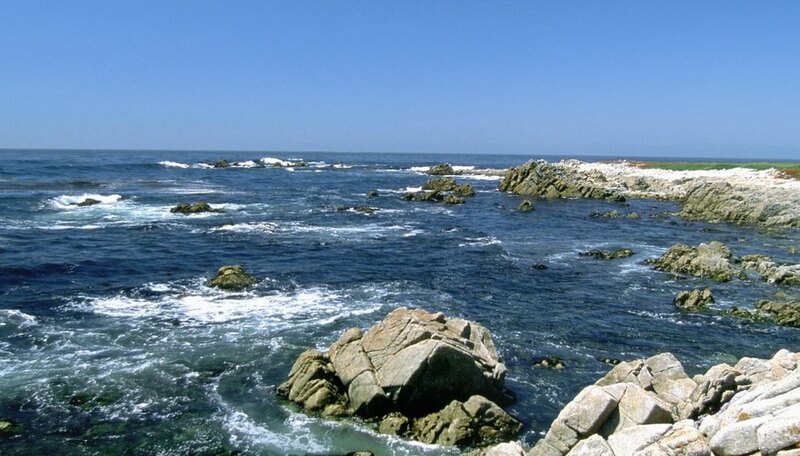 Carmel's Mediterranean climate inspires romance in Northern California. The Sonoma Valley is home to dozens of wineries ideal for romantic getaways such as The St. Francis Winery and Vineyards. Couples may enjoy three wine-tasting bars plus a slate patio with views of the vineyards. Couples visiting the Arrowood Vineyards and Winery may enjoy a private wine tasting by appointment and views of Sonoma Valley and the mountains. Sonoma's town square, known as the Plaza, is surrounded by historic adobe buildings, many boutiques and luxurious world-class spas and resorts such as the Fairmont Sonoma Mission Inn and Spa, which offers golf packages for couples, including breakfast for two and one round of golf each. Carmel encompasses romance, glamor and European flair and is known for the seaside, its quaint shops that line the cobblestone sidewalks, and romantic inns and hotels. The Cypress Inn is a boutique inn owned by Doris Day and Dennis LeVett that features vaulted ceilings, cozy fireplaces, a courtyard and detailed landscaping. Couples may enjoy therapeutic massages, afternoon tea and gourmet dining. The historic La Playa Hotel, known for its romantic and tumultuous past, features private cottages, al fresco dining and garden spa treatments. It offers romance packages for couples that include champagne, chocolate-dipped strawberries, breakfast or dinner for two and a four-hour wine-tasting tour for two with a private limousine. Napa Valley boasts first-class wine producers such as the Black Stallion Winery, which offers couples intimate wine-themed dinners in a private dining setting. Napa Valley is a premier travel destination with rolling hills and spectacular views year-round. Couples may enjoy dining at world-famous restaurants such as the French Laundry, which offers private dining by reservation plus a selection of wine-paired meals. One of the many romantic spas to visit is the luxurious Spa Terra, which is located in an underground wine cave with natural stone and copper water features. Getaway packages include signature couples' rooms cocooned in the heart of the earth with private lounges, whirlpools, steam grottoes and waterfalls. Mendocino has been described as "lonely and lovely." It is an ideal romantic destination with wineries, Victorian bed and breakfasts and spas such as the Sweetwater Spa and Inn, which offers winter getaway packages for couples who enjoy a cozy fireplace, hot tub and sauna. Couples visiting the Alegria Inn may choose private oceanside cottages with in-room dining for two, a fireplace, a hot tub and access to the health club. The village of Mendocino is listed on the National Register of Historic Places. It features historic inns like the MacCullum House Inn and Restaurant, which offers fine dining, cozy fireplaces and a romantic elopement package for couples. Katherine Marko has been a professional writer for more than five years. She has attended the University of Toronto for English. Her work has appeared in several online publications. Marko is also a licensed aesthetician with expertise in nutrition and beauty. Marko, Katherine. "Ideas for Romantic Trips In Northern California." Dating Tips - Match.com, https://datingtips.match.com/ideas-romantic-trips-northern-california-7979588.html. Accessed 19 April 2019.